Remove dents and shape and stretch auto panels and sheet metal. Includes: heavy bumping hammer, pick & finish hammer, straight pein finishing hammer, heel dolly, utility dolly, double-end dolly, and curved dolly. 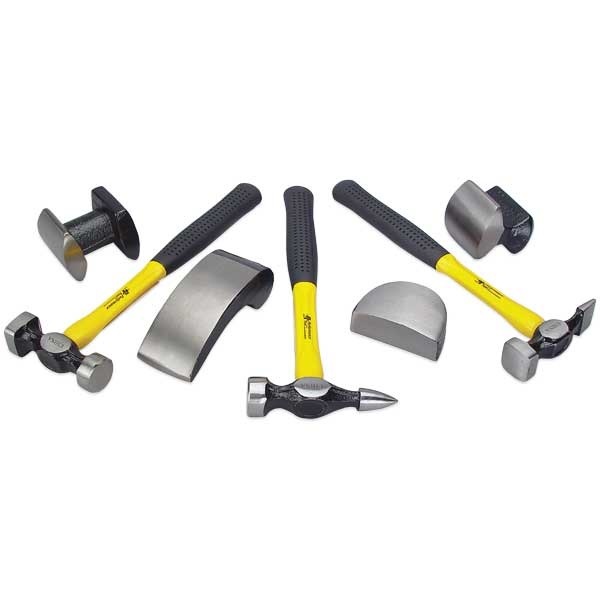 Hammers have fiberglass cushion-grip handle. Includes plastic carry/storage case. 11.8 lbs.